A free speech bill, scheduled for consideration in South Dakota's legislature this week, is sparking national attention. The bill was put into place after FIRE, the Foundation for Individual Rights in Education, took notice of the policies at the state's flagship school, the University of South Dakota in Vermillion, and gave the college the rating of a "Red Light" because of its restricting codes. FIRE found two especially worrisome rules in the school's code. The first is that the Student Handbook states, "Using university property (i.e., the USD internet server) to bully other students (cyber bullying) or express feelings of hatred via Facebook, Twitter, email or other forms of social media is not allowed." The second is the university's free-speech policy, which declares, "the Muenster University Center, Muenster University Center Courtyard, and the I.D. Weeks Library Courtyard" are the only areas where free speech is allowed. Following its longstanding criteria for evaluating free speech, FIRE argued that neither of these policies are allowed by current jurisprudence relating to the First Amendment, which the University of South Dakota, as a state school, is required to follow. 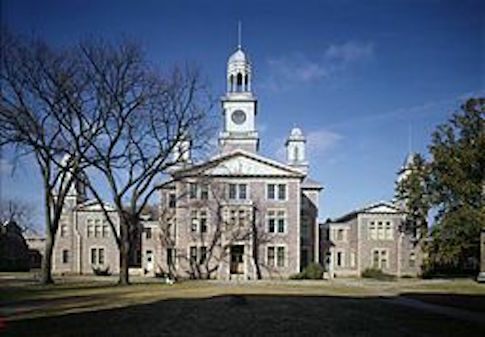 FIRE's negative rating, with the resulting negative publicity, caused consternation at the statehouse in Pierre, where legislators had long assumed that South Dakota's six full state universities were not suffering the agitation about campus speakers and student speech that have convulsed schools in other parts of the country. This winter, state representative Michael Clark introduced the legislation to curtail the universities' power to regulate the speech of their students, faculty, and invited campus speakers, particularly when regulations are applied for ideological reasons. In 2015, for example, the University of South Dakota attempted to shut down a screening of Honor Diaries at the university's annual "Women and Gender Conference." 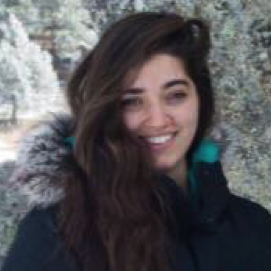 A film about honor killings of women in Islamic cultures, Honor Diaries has been attacked by CAIR, the Council on American-Islamic Relations, as Islamaphobic and the work of "anti-Muslim bigots." The school then sought cancellation of the screening on the grounds that the film might injure the feelings of the students who perceive it as "hate speech." Rep. Clark was quickly joined by 14 cosponsors among state representatives and 15 state senators, who together form a large enough group to suggest the universities in the state were not aware of the extent to which the national news about college agitation put lawmakers on edge. The School of Mines, perhaps South Dakota's best-known university, has not seen much struggle over free-speech issues. When James Rankin, the school's president, was asked about the proposed legislation, he took both sides, agreeing that "We all want free speech," but noting "it's a tricky problem." The argument of many observers, from the avowedly nonpartisan FIRE to such rabble-rousing speakers as Milo Yiannopoulos, is that such attempts to take both sides inevitably end up in the victory of those who want censorship. Only the fullest defense of free speech can keep the idea of "hate speech" and the tyranny of hurt feelings from banishing all except preapproved ideas. "The way one assesses the truth or falsity of one's own opinions is to engage rationally and directly with those who may profess other views—indeed, especially with those who strongly disagree with your views," said William D. Richardson, distinguished emeritus professor of politics at the University of South Dakota. "If our opinions prove inadequate and flawed after intensive, respectful, civil debate, we are well-advised to modify them or find better, stronger, more persuasive evidence to support them." Scheduled to testify in Pierre during the legislature's consideration of the college free-speech bill this week, Richardson wrote to say, "If the passionate, partisan turmoil of the past couple of decades demonstrates anything, it is that democratic citizenship requires as much critical, independent thought as we can possibly cultivate in each new generation of young people." As late as the 1970s, the rallying cry of free speech seemed to belong mostly to the liberal and radical side of American politics, from the ACLU to the Young Socialists, with attempts to shut down campus discussion declared the work of anti-constitutional reactionaries. One of the most fascinating transitions of recent years has been the political swapping of positions on the issue. The more radical side, now in a dominant position in American academia, has generally decided that oppositional speech is beyond the pale of proper campus discussion, while the conservative side has taken the position that campuses should be places where a multiplicity of views are heard. Thus, for example, Kristi Noem, South Dakota's only U.S. House member and a candidate for governor, announced her support for the campus free speech bill. "More and more, we're seeing certain voices—often conservative or Christian voices—purposely silenced on our college campuses," she explained. "While these are places where the free expression of ideas should thrive, college campuses, including some in South Dakota, are showing a growing intolerance toward free speech. Given the rising level of censorship and the concerning limits placed on student's exposure to differing perspectives, it's important the legislature act to permanently protect intellectual diversity on taxpayer-funded campuses. Free speech in these places is not optional. It is a constitutional right students are entitled to." Perhaps more to the point, Richardson argues, limiting speech hurts education. College, he wrote, "is supposed to be about . . . a testing of opinions about politics, culture, society, humanity, compassion, religion, virtue, vice, etc. in order to enhance and strengthen understanding. . . . The free and open discussion of ideas—however disagreeable or disruptive we might find some of them to be—is at the very essence" of college. The new legislation being considered in Pierre is, he suggests, a much-needed step toward improving college education. This entry was posted in Culture and tagged College Campuses. Bookmark the permalink.